Eberspacher There are 20 products. Autonomous engine preheaters Eberspacher Hydronic are well known all around the world. Hydronic combines german quality and reliability of operation in the harsh climate conditions, like Russian Siberia. Those choose the engine preheating systems Eberspacher, who have to work in the northern latitudes, regardless of the type of vehicle. The choice of Hydronic make those for whom quality comes first. Engine preheater Hydronic is completely autonomous. It does not start the car engine, and works independently of car engine, thus Hydronic does not expose your car hijacking threat, in contrast to the alarm systems. mobile workshops, houses, ships, and cargo compartments. Eberspacher air heaters work on liquid fuel, petrol or diesel. Eberspacher air heaters are often placed inside a heated area, while exhaust is expelled, as well as pipe combustion air intake. The highest german quality and reliability of products Eberspacher appreciated thousands of customers all around the world. Air heaters Eberspacher are regulary established in many european trucks. 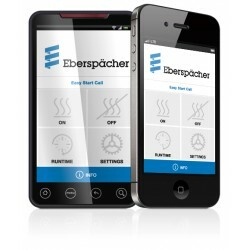 Eberspacher controllers allow operate Hydronic preheaters and Airtronik air heaters. 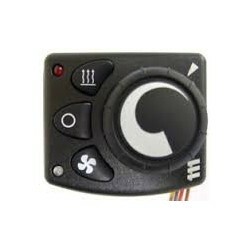 All controllers can be divided into manual, that manage in manual mode with the direct participation of the customer, whether the start button or mini-timer. All manual controllers are installed on the dashboard of the car. Another subspecies of the remote controllers are the remote controls. 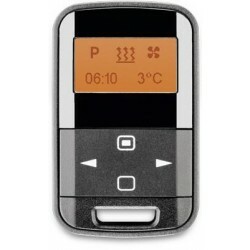 They are divided into GSM-modules and remote controls. The entire line of controllers has a name Eberspacher Easy Start. Autonomous cabin air heater Eberspacher Airtronic 2 - a unique device with a power 2kW. 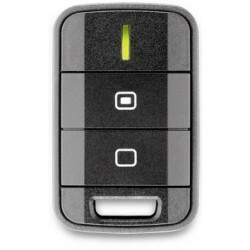 The model is suitable for use in vans, truck cabs with sleeping place, for machinery and SUVs. Powerful engine preheater Eberspacher (Germany). Designed for heating before starting the engine with working volume from 0 to 2 liters. Mainly used in cars, vans, snowmobiles. Autonomous diesel cabin air heater Eberspacher Airtronic D4 24v - reliable device with a power 4 kW. 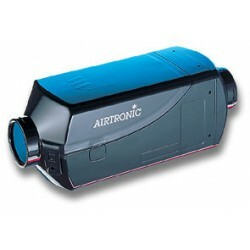 Model is suitable for use in 24v vans and small cargo compartments of trucks. Autonomous cabin diesel air heater Eberspacher Airtronic D4 12V - reliable device with a power 4 kW. 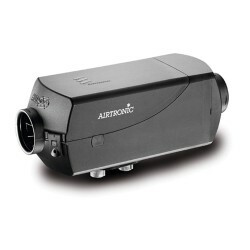 Model is suitable for use in 12v vans and small cargo compartments of trucks. The company Eberspacher was based in 1865, the german city Esslingen. Until now, the company manufactures products of the highest european quality, that is famous for its reliability and durability. The product line is represented by engine heating systems Eberspacher Hydronic and independent air heaters Eberspacher Airtronic. Eberspacher company specializes in equipment for the special technics, that work in severe circumstances. However, this is not only a competitive advantage. 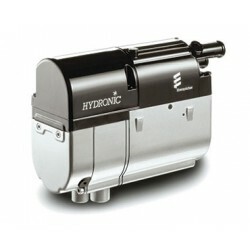 All the Hydronic preheaters' models are manufactured in 2 versions: with built-in pump and remote. In the first case the installation process is more simple, the second allows installation with limited engine compartment. 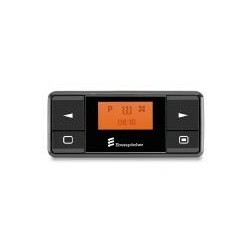 Ebershpeher Airtronik can be equipped with electronic control that automatically monitors the heating of the air in order to maintain the desired temperature.